Tired of tapping on icons on your phone to manage your home-control system? Insteon’s new app enlists the aid of Microsoft’s Cortana digital assistant so that you can talk to your devices. Forget to close your garage door? Ask Cortana. Say “Insteon, it’s hot in here,” and Cortana will respond “Nobody likes being hot, want to adjust your thermostat?” Controls for your thermostat would then appear on your screen. 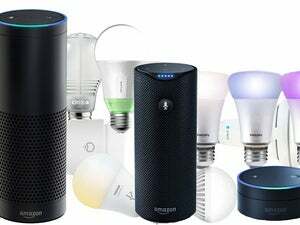 You can use voice commands to control other systems in your home, too, as well as establish rules that shut down your house and lock your doors when you say “Insteon, leaving the house.” It sounds like a great idea, but there are two key sticking points. First, it depends on your installing one of Insteon’s home-control systems in your home. Second, it depends on your owning a Windows phone. Microsoft and Insteon announced a strategic partnership back in May, and Insteon home-control products are offered for sale in Microsoft’s stores. Despite Insteon’s long history in the home-control market, the company has never managed to break through into the mainstream market, probably because of its reliance on old technology (its roots are in the ancient and unreliable X10 protocol, although the current incarnation relies on both wireless and power-line networking). Microsoft’s Windows Phone has just as tough of a time going mainstream, of course, albeit for different reasons. 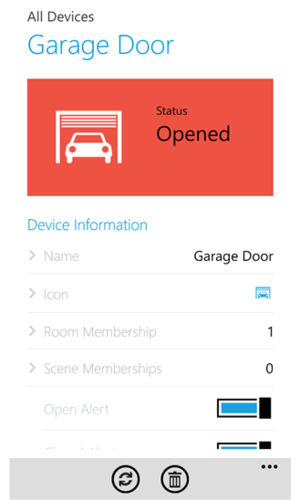 This story, "Insteon’s new Windows Phone home-control app adds voice commands via Cortana" was originally published by TechHive.